Our Chairman, Prof. J.D. Agarwal with Dr. Manmohan Singh. 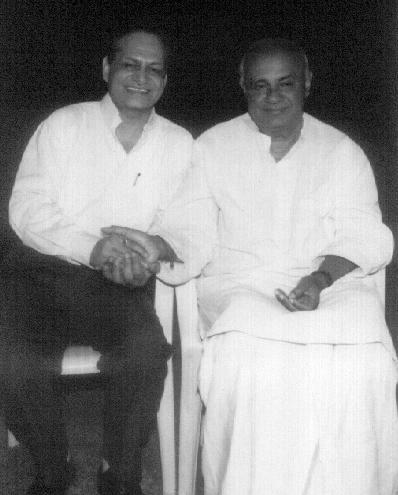 (L to R) Mr. Chandra Shekhar, the then Prime Minister of India and Prof. Agarwal. 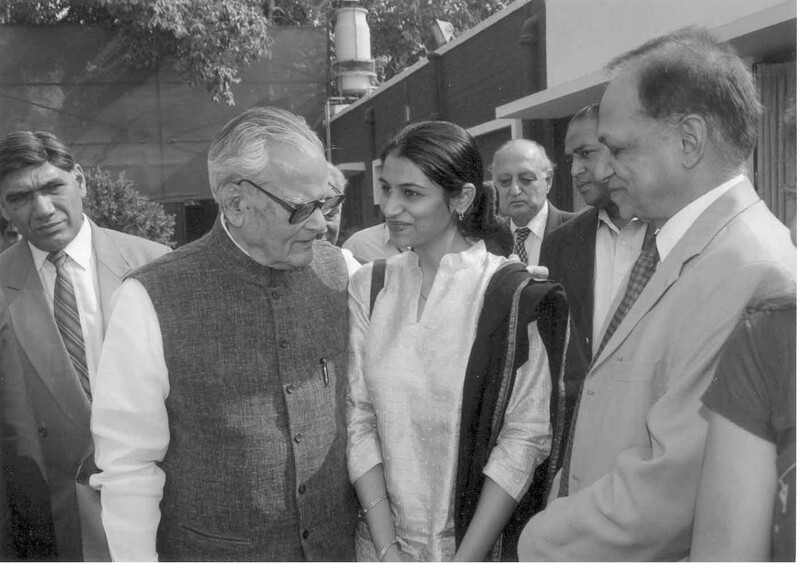 Our Chairman, and our faculty Yamini with Shri Bhairon Singh Shekhawat, Vice President of India. Our Chairman with Mr. H.D. Deve Gowda, Former Prime Minister of India. (L to R) Prof. J.D. Agarwal with Shri Arjun Singh, Union Minister of HRD, GOI. IIF's Distinguished Renowned & Committed Faculty educated and /or worked in some of the best institutions : IIT, Delhi; SRCC; Delhi School of Eco., DU; Columbia Univ. (USA); Cleveland State University (USA); London School of Economics (UK); London Business School (UK); ABU (Nigeria); SIDA (Sweden); University of Fiji (Fiji); World Bank (USA). Faculty engaged in teaching and research has to its credit over 150 books, edited 120+ issues of Finance India; more than 300 articles, 600+ book reviews; 120++ bibliographies of about 25 pages each; participated as experts in over 1000+ Radio / TV talks /Panel discussions on economic issues and its views & opinions appearing more than 2500 times in national dailieson economic issues and organising / participating in 1000+ seminars & conferences and organised / lectured in 550+ MDPs globally. It is well known for its Significant Pathbreaking Research Contributions. IIF Faculty travelled widely to lecture or address conferences in 50+ countries from North to South, East to West including USA, UK, almost whole of Western and Eastern Europe, Russia, Uzbekistan, Japan, China, Australia, Brazil, Chile and Africa. Provided academic assistance to more than 100+ Universities / Institutions worldwide. IIF is bestowed with educated, experienced, committed, well known, renowned, disciplined faculty fully devoted to the cause of education and research. They have travelled all over the world including to deliver lectures in mroe than 100 Institutions / Colleges and Universities. The Feedback of the student is Excellent. Dr. Agarwal is a well known economist and financial expert with a pleasing personality. He has served several institutions of repute during the last 49 years. He is an excellent teacher, trainer and researcher. He has published 12 books and over 150 research papers in reputed journals. He is Chief Editor of "Finance India" since 1987. He is well known for his national and international linkages. His news, analysis & comments on economic and financial issues appear on AIR, TV & national dailies. Prof. Agarwal is Director, IIF Business School [GGSIPU Delhi]. He is editing the journal Finance India as its Associate Editor. He has been felicitated as "Honorary Professor of Uzbekistan" by Tashkent State University of Economics, Uzbekistan. He is visiting professor to universities in USA, Europe, Latin America & South Asia. He is board member of STB (Singapore), RBA (ABI, USA), EEL (Bangladesh), JoE (France) and various others. He has organized national & international conferences. His views appear frequently on TV & the newspapers with regard to Financial Policies, Capital Markets & Economic Scenario. He is invited to deliver lectures and keynote addresses on various aspects. He has published widely in the area of international finance, corporate finance and derivatives. Prof. Grzegorz W. Kolodko, Ph.D.
Prof. Kolodko is an Honorary Professor. He has been Polish Deputy PM and Finance Minister in 2002-03 and 1994-97. He was instrumental for achieving the entry of Poland into the Eupropean Union and OECD. He is Director of TIGER, Poland and John C. Evans Scholar in European Studies at the University of Rochester, NY, USA. He is consultant to World Bank, UN, & OECD. He is authored 30 books and over 300 research papers. She is an Adjunct Professor and has over 47 years of teaching experience & participation in seminars & conferences world over. She is an active researcher and has been resource faculty in number of MDPs. She has written many books and published articles in reputed journals. Prof. Saidasaror S. Gulyamov, Ph.D.
Prof. Gulyamov is an Honorary Professor of Management He is a well known scientist in the field of model development of regional agrosytems. He has more than 150 research papers, articles and books to his credit. He is Vice Rector of Tashkent State Agrarian University and Director of Regional Centre of EDI World Bank at TSAU. He has widely travelled and organised various international conferences. Prof. Agarwal is a well known author with over 30 years of practical experience. He has written more than 90 books on taxation and company law. He heads the consultancy division. His teaching interests are Accounting & Taxation. N. Vittal has just retired as Central Vigilance Commissioner (CVC), Government of India, after completing his four year term. 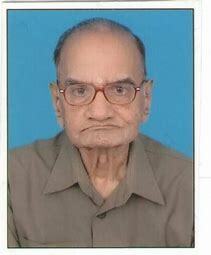 He joined the Indian Administrative Service (IAS) in 1960 and was allotted the Gujarat cadre. He was secretary to Government of India in the departments of (i) Electronics and (ii) Tele-communications and thereafter was Chairman of the Public Enterprises Selection Board. As Chairman, Telecom Commission, Mr. Vittal initiated the process of liberalization in the telecom sector. He was instrumental in the formulation of the National Telecom Policy 1994. As Secretary, Department of Electronics, he initiated the concept of software technology books,. His publications include seven books and hundreds of lectures and articles (in various weeklies and dailies). He has innumerable awards to his credit. In August 1997 his name was included in the BT list of "Fifty men and women who shaped the economy" in the 50 years after India's Independence. He was honoured with "The Hidden Talent of India Award" by the OISCA International: "The Great son of the Soil Award 1998" by All India Conference of Intellectuals; and the honour "Desh Seva Ratnam" conferred by the Jagadguru Sri Sankaracharya of Kanchi Kamakoti Peetam , 2001. He has authored more than 15 books. Mr. T.N. Pandey, LLB, LLM (Harvard), Indian Revenue service (Retd.) Former Chairman- Central Board of Direct Taxes & Former Special Secretary, Ministry of Finance. He is a tax expert and has authored several articles on taxation and corporate law in popular economic chronicles. He advises several foreign companies on tax law and regulations in India. Mr. R. N. Lakhotia is a well-known authority on taxation in the country. He is actively engaged in the profession as an Advocate & Tax Consultant and specializes in Practical Tax Planning and drafting of Trusts & Wills. 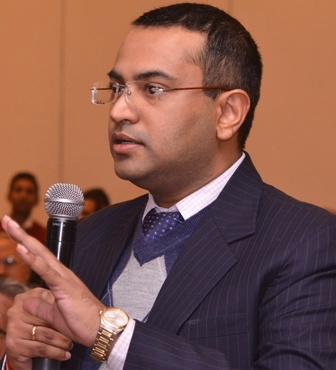 He enjoys the unique distinction of being the only person in India who has addressed over 2,600 lecture meetings, symposia, seminars and in-house programmes on tax planning and practical tax education in India and abroad. He uses wit and humour to make the subject of income tax, very interesting and meaningful. He is writer of dozens of books on income tax, better living and also humour, which have seen over 50- editions so far. He has been interviewed over BBC London, AIR, Hong Kong Radio and Doordarshan. He had a brilliant academic career. He is a Gold Medalist. He stood First Class First in both the Degree and Post Graduate Examinations in Commerce. He joined the Indian Revenue Service as I.T.O. Class I and stood First in the whole of India in the I.T.Os, Examinations. He was conferred the Hony. Degree of Doctor of Taxation at the hands of Shri Giani Zail Singh, the former President of India. He has constructed a big Dharmashala for the rent-free use of the family of the patients of JLN Hospital, Ajmer where over 8,00,000 persons have already been benefited. He has been the District Governor of Lions Clubs International. He is the President of Rajasthani Academy & ITPA. Recently, he has been awarded the prestigious "Udyog Rattan Award". Mr. Lakhotia is thus a multi faceted personality. Currently, he is the Chairman of IVRCL Infrastructures and Projects Ltd, Hyderabad, and is also on the board of HDFC Bank Ltd, Visa Industries Ltd, Sandhar Locking Devices Ltd and Asset Care Enterprises Ltd.He is also a non-executive and independent director of Era Constructions (India) Ltd with effect from March 19, 2005, a company release said here. 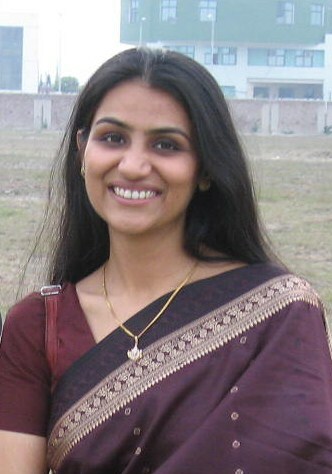 Yamini is currently working as Professor of Finance. She has done her Ph.D. on Capital Structure Decision under Multiple Objectives : A Study of Indian Corporates from IIT, Delhi. She has 30 Research Papers and 27 Book Reviews published in international and national refereed journals. She has supervised over 71 MBA level dissertations. She has developed 20 Case Studies in Corporate Finance and Managerial Economics. She has also presented 9 research papers in international and national conferences and seminars. She is also on the referee and review board of several well known publishers. She is also Associate Editor of Finance India. She is Regional Council Members of the Indo American Chambers of Commerce. She is also Editorial Board Member of the International Journal of Education Economics and Development (IJEED) published in Switzerland. She has been nominated to several committees of various Chambers like FICCI, PHDCCI and ASSOCHAM. She has delivered seminars at Central Banks and National Universities of different countries. She has travelled over 20 countries as part of the international academic collaborations. She is on the editorial board of the journal Sub-Saharan Review of Economics and Finance Paris, France. She has a research bent of mind. Her areas of interest are Corporate Finance and Valuations, Micro and Macroeconomic Perspective on Global Issues, Security Analysis and Portfolio Management. Prof. (Dr.) Saurabh Agarwal is currently Dean & Professor of Accounting and Finance, Indian Institute of Finance (www.iif.edu). He has sought his education from some of the Ivy League institutions in India – Delhi School of Economics; Faculty of Management Studies (University of Delhi); Shri Ram College of Commerce (University of Delhi); Modern School (Bharakhamba Road) and Delhi Public School (Mathura Road). His Doctorate work on “A Goal Programming Portfolio Section Model” has been done at the prestigious Faculty of Management Studies (University of Delhi). Prof. Agarwal is the Convener of the Project, Programme and Portfolio Management Committee (ISO/TC 258) of the Bureau of Indian Standards (BIS), Government of India. He is member of the Managing Committee of ASSOCHAM. On the research front, he has Seventeen (17) refereed research publications in indexed/peer reviewed international journals, Two (2) conference publications, Thirty Five (35) book reviews & Two (2) research monographs to his credit. His biographical note figures in Emerald Who’s Who in Asia. Deepak Bansal holds his masters in Computer Science & Commerce. A Gold Medallist from NIIT, his basic interest lies in IT, MIS and allied areas and has 18 years of teaching experience in these areas to his credit. He is a keen researcher and has reviewed more than Fourty books. He has supervised more than one hundred projects in the area of IT & Computers at postgraduate level. He has attended various national seminars, training programs & workshops. He heads the Computer Division.